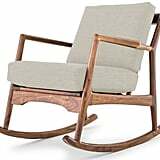 After pulling an all-nighter with her newborn son, Crew, Joanna Gaines shared a photo of the results: blankets, wraps, soap, and wipes on the nursery floor, Crew in a rocker, and peeping out of the corner, a chic wooden rocking chair that I immediately fell in love with. 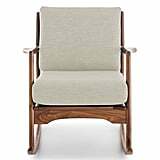 Of course, with taste like Jo's, I wasn't surprised to see that the Joybird chair in question has a nearly $1,000 price tag, but bless the decor gods, because that puppy is on sale! 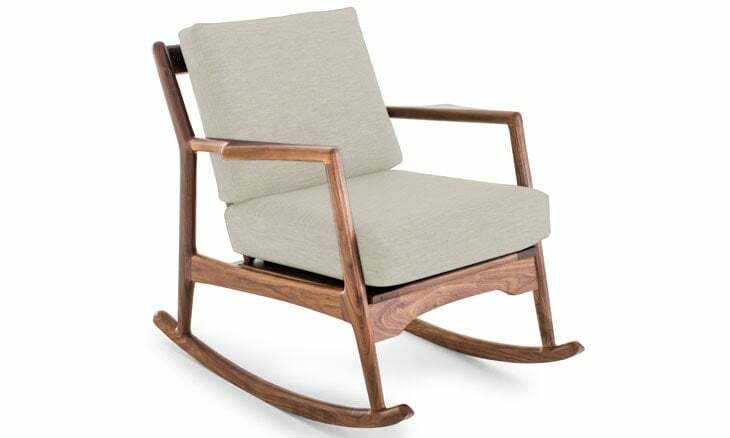 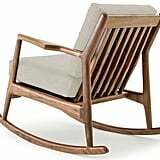 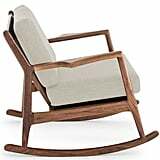 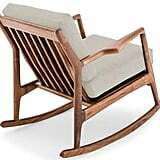 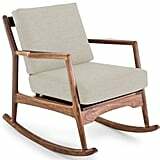 The gorgeous Collins Rocking Chair ($712, originally $950) from Joybird is currently 25 percent off, knocking it into the $700 range. 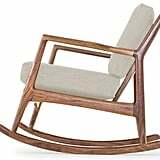 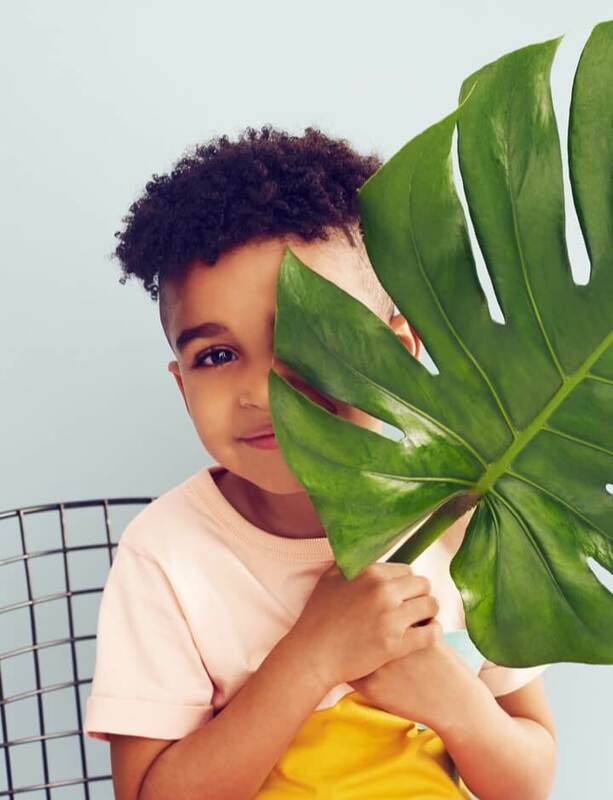 Although that's still pretty steep for one chair, its timeless design — and the off-white color Jo got it in — means it's more than just a nursery item; it's something that can grow with the family no matter how they decorate in the future. 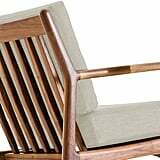 And if we know the Gaineses the way we think we do, a bit of redecorating down the line definitely isn't out of the question!